Born an raised in Florence, Federico Galligani began his career in London at the Savoy Hotel and has since held leadership positions at numerous luxury hotels across Europe in Switzerland, Germany, UK and Italy. Committed to keep the highest level of services and deeply focused on guest care he is the one welcoming every guest arriving at Belmond Castello di Casole. The castle was built in the year 998, and named Querceto Villa after the nearby oak forest. In the 19th and 20th centuries, the local aristocratic Bargagli family restored it and turned the expansive estate into a thriving patchwork of farms. Later, it was bought by Earl Edoardo Visconti, brother of the acclaimed film director Luchino Visconti. He would organise glamorous parties at the castle, inviting celebrated stars from the dolce vita era. 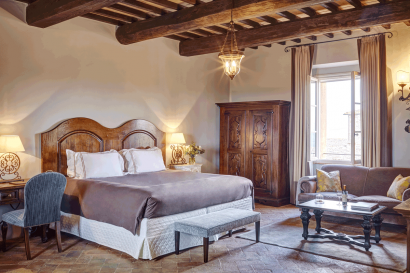 More recently, the castle was transformed into a boutique hotel offering every comfort you could wish for – yet the inviting ambience of a private country house remains. Belmond Castello di Casole is set in the heart of Tuscany, among the rolling hills of Siena. 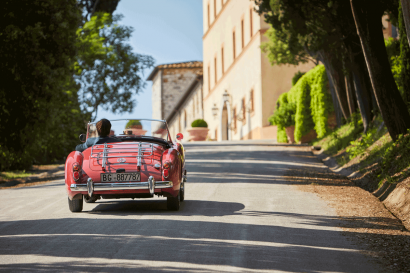 Florence is less than and hour drive away, while Siena and charming San Gimignano can be reach in 45 minutes. 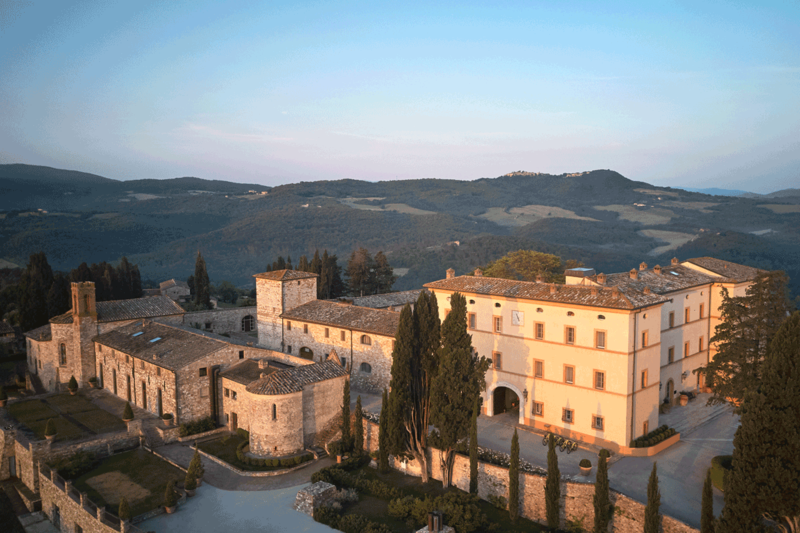 The history of Belmond Castello di Casole goes back to 5,000 years ago. 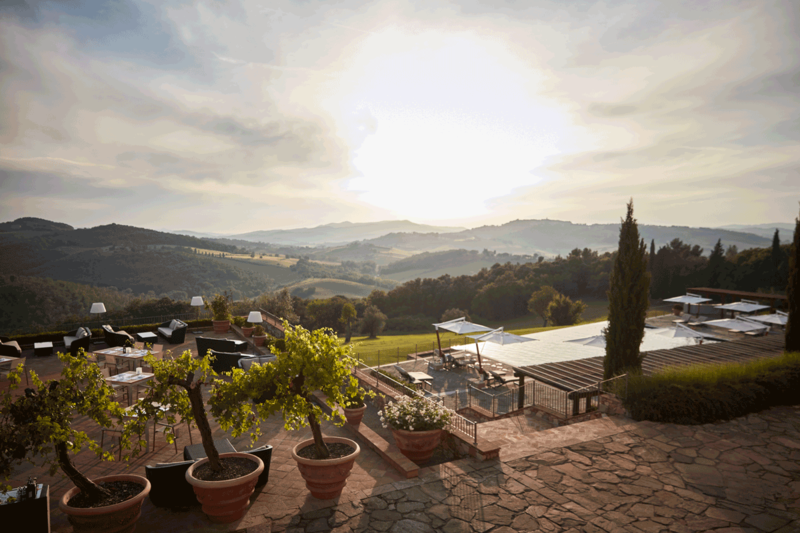 The site is deeply rooted in its agricultural past stretching back to the Bronze Age; artefacts from Etruscan farmers have been found across the grounds and are now on display at the hotel. 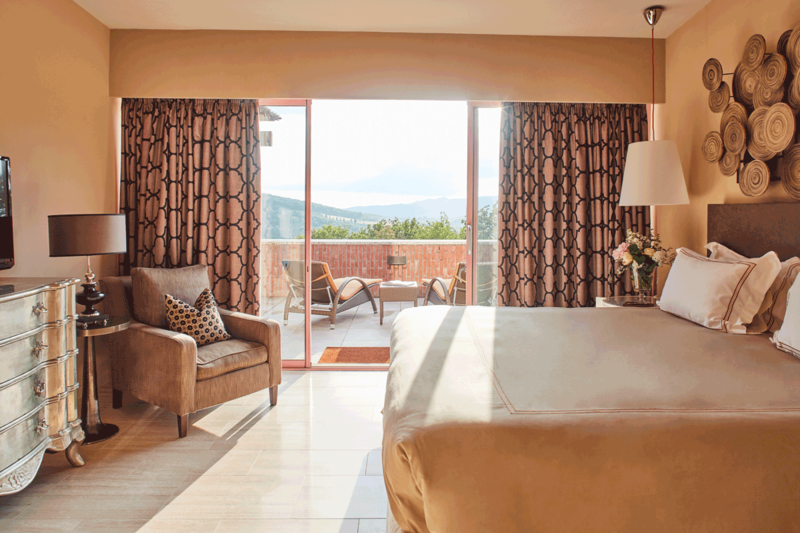 The hotel is perfect for family adventures or relaxing stays with your little ones. It offers tasty children’s menus and highchairs in the restaurants, a babysitting service on request and an array of activities, including horseback riding, painting classes and cookery lessons. 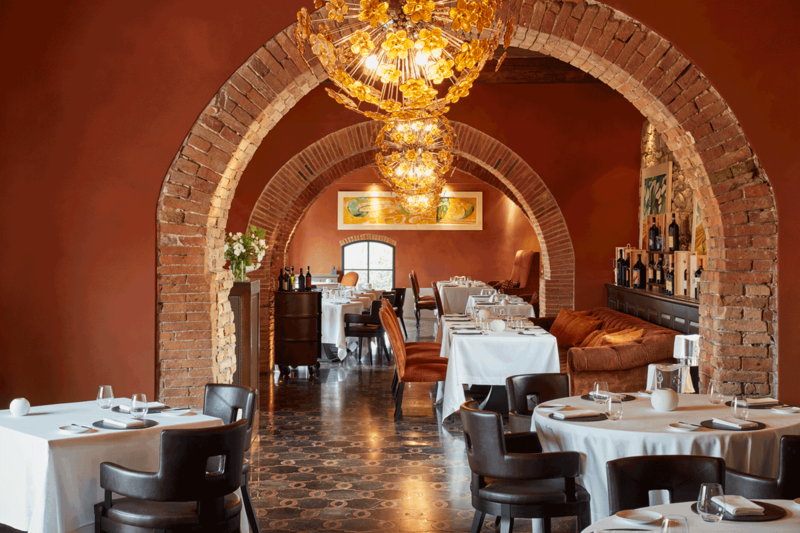 TOSCA RESTAURANT – Enjoy a sophisticated yet relaxed ambience among vibrant Italian textiles and sparkling Murano chandeliers. Executive Chef Daniele Sera’s signature à la carte menu combines the freshest local and organic produce with Tuscany’s finest delicacies. CIP’S CLUB BY BELMOND HOTEL CIPRIANI – Immerse yourself in the flavours of Venice in our elegant yet informal restaurant, inspired by the legendary Cip’s Club at our Venetian sister hotel. 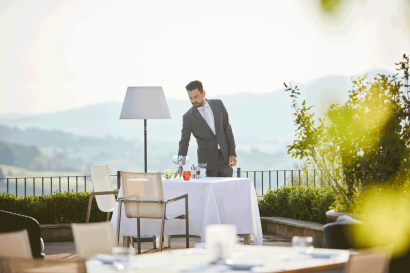 Soak up the breathtaking views over the hills from the alfresco terrace and dine on classics such as tender carpaccio, tagliolini verdi and gamberi in saor, as well as a selection of sumptuous Tuscan specialities. BAR VISCONTI – Named after the castle’s former owner, our stylish lounge bar affords spectacular panoramas over the countryside. We serve an array of cocktails, wines and spirits alongside rustic Italian fare. 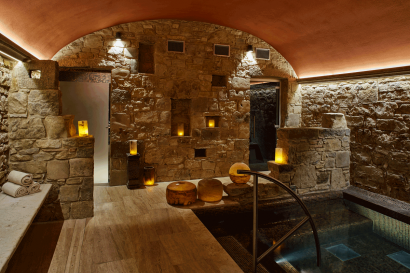 – Essere Spa set in the ancient wine cellars with spectacular vaulted ceilings. 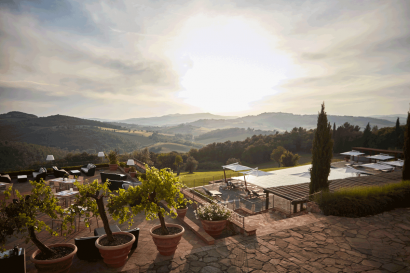 The menu of indulgent therapies is inspired by local ingredients including rosemary, grapes, honey and olive oil. It enjoy seven treatment rooms, a lavish couple’s treatment suite with deep soaking tub and shower, pools, steam rooms and lush, secluded gardens. 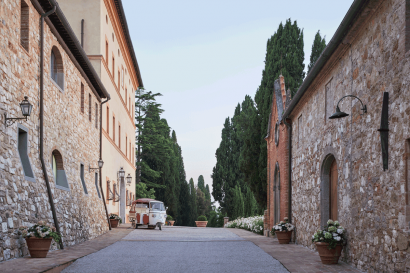 Whether looking for a dramatic boardroom, a space for a celebration dinner or unique wedding venues in Tuscany, we have a space for every occasion. 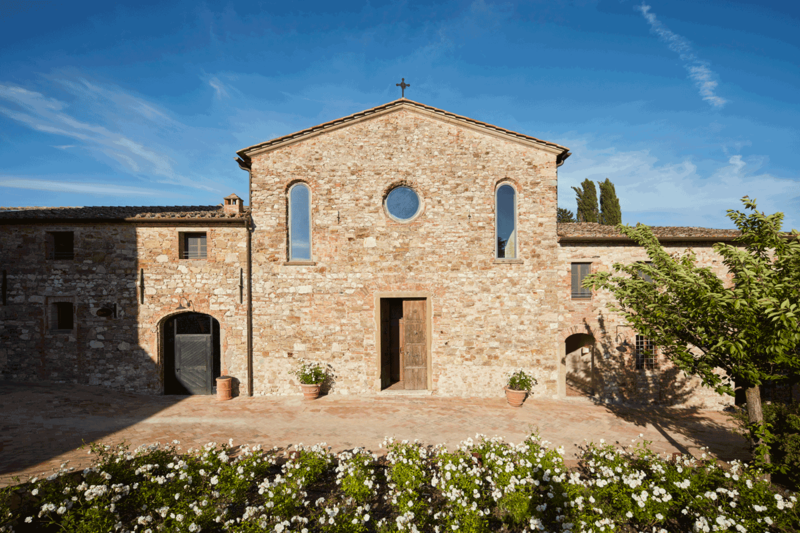 Keep things classic with a timeless feast in the atmospheric San Tommaso Church. 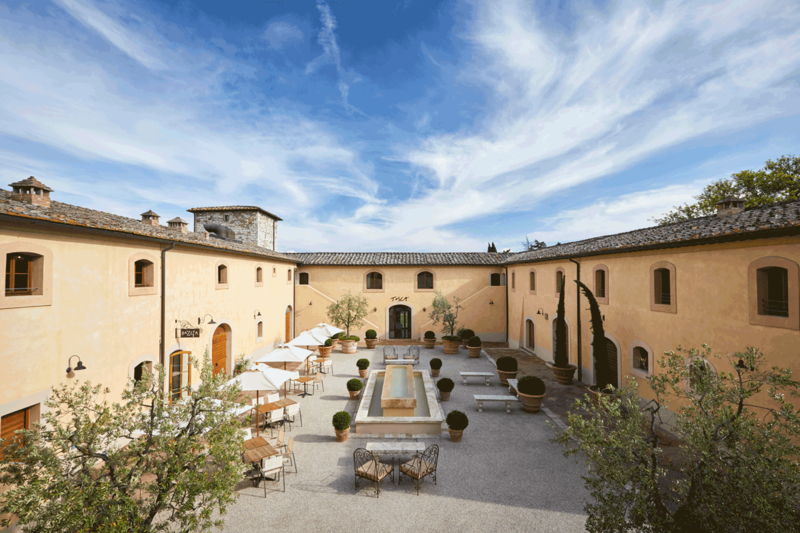 Host a lavish alfresco event on the beautiful Limonaia Terrace or in the stunning ancient amphitheatre. Wherever you pick, we’ll ensure your event is a roaring success.